This all reminded me about an idea that I posed in a post last year, titled ‘Sharing the Load of Blogging.’ My thought was that in creating a collective school blog, it would ease the stress of time put on staff to maintain their own personal blogs. I envisaged this as a space where those involved within the community could celebrate all that was happening in school. Instead of leaving it up to staff member in the office to chase up people for items for the school newsletter each fortnight, maybe it would be more empowering if teachers actually published something when they had something to publish. In response to my post, +Jason Markey shared with me a great post from +George Couros titled ‘The #Learn365 Project‘. In this post, Couros discussed how he had created a site to share all the great work that was happening in Parkland School Division. 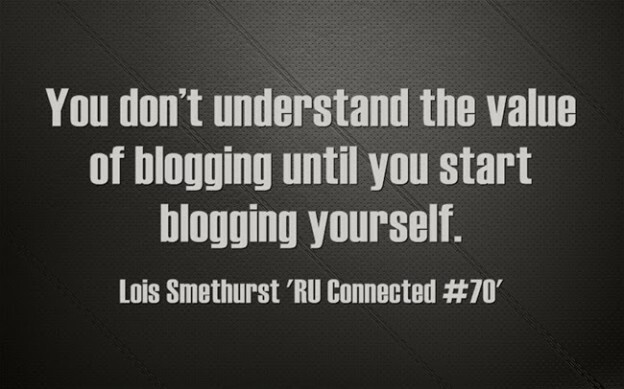 Modified from the #edu180atl initiative, Couros suggested that the basic premise was that, “every day during the school year, one person within our organization posts a blog on something they learned that day.” For many, Couros explained, the collaborative site was a great catalyst for exploring the potential of blogging and led to some teachers creating their personal blogs. What I didn’t realise when I wrote my original post was that, in addition to Couros’ own, there were actually quite a few schools already running their own blogs, such as Leyton Learn 365 and tslg1440. However, what this got me wondering was whether there was place to share not only within the school community, but also beyond, a site set up for a wider district or even a state. Maybe such a thing does already exist and so again I am simply being naïve, but a part of me thinks that sharing within the school is only half the battle, we also need a means for sharing beyond the school, with those who may also be going through the same experiences, who may benefit from a different perspective. In some respect, I am assuming that this is what +George Couros was on about with the #learn365 hashtag, where school communities are able to share in a global manner, however I wondered whether there was a place for a #VicPLN site. A place where teachers could cross post ideas and information that mattered to those in Victoria, Australia. If not a site, then maybe there was a place for something like a Flipboard which contained a great collection of celebrations all in one place. At the very least, wouldn’t it be great to have a collection of blogs created teachers all over Victoria celebrating successes, reflecting on failures and just sharing awesome ideas? Sharing the Load of Blogging In and Out of School by Aaron Davis is licensed under a Creative Commons Attribution-ShareAlike 4.0 International License.